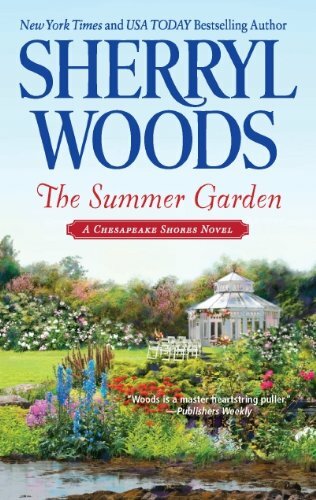 The Summer Garden is the final book in the Chesapeake Shores series by Sherryl Woods. I imagine that fans and lovers of the O'Brien family are sad to hear about this last release. Fortunately for them, Sherryl Woods makes it a great ending. During the O'Brien's trip to Dublin at Christmas time, Luke met "Maddening Moira." He's back home and making plans for a future, hoping to prove himself to his family by making a success of the pub he plans to open at Chesapeake Shores. Moira is in thoughts, but she's back in Ireland. He's in for a surprise though, Moira is about to land on Chesapeake Shores with her grandfather Dillon. Gram invited the love of her life to visit and these two are not only planning to spend time together rekindling their own romance, but they're hoping that Luke and Moira's romance will take a positive turn. Moira isn't the sweetest girl in the world, and the O'Brien's as a family didn't fall in love with her while they were in Ireland. She's moody and has a bit of a temper that Luke has the knack of defusing with charm and understanding. He likes her direct manner and fell for her in Ireland. Luke is very happy to see Moira again, but he's distracted and quite busy trying to get his new business going too. He has a plan and a timetable to keep, and a deeper relationship with Moira is not part of that timetable at the moment. Maybe in the future. Moira on the other hand is ready for Luke now! She's not exactly sure what she wants to do with her life and dithers back and forth between her newly discovered talents as a photographer and her secret wish for a family, with Luke. Moira is not a patient woman and let's Luke know what she wants, but when he doesn't exactly react the way she expects him to right away her insecurities take over and... well... the drama begins, particularly when the meddling O'Brien's get involved! There's a lot of meddling in this story by the O'Briens. They are a chaotic crew! The whole clan makes an appearance in this story, and all have something to contribute as they get involved with Luke's new business at the pub, his mistakes with Moira, Moira's overreactions, and let's not forget Gram and Dillon's rekindled romance! Luke is used to his family, and Moira quickly learns to appreciate them and falls in love with the whole clan in the process, just as they begin to fall in love with her. Gram knows how to put her family, especially Mick, in their place, and is not above meddling either. She gives plenty of advice and knows how to set things up for herself and the younger couple without making it look like manipulation. I really liked Gram! Sheryl Woods created a wonderful family in the O'Briens. 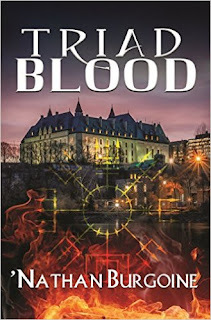 They are chaotic, meddling, loving, competitive and the reader can't help but fall in love with the whole family as the drama and the chaos escalates. I love Gram and Dillon's "at last" type of romance. It is sweet and it seems to me quite realistic in that they both just want to spend whatever time they have left with each other. Lovely. Luke and Moira's romance I think needed more time to brew. This is a young couple that finds each other just as they are figuring out exactly what it is that they want out of life. Neither is really sure what that is at the moment, and they both vacillate back and forth about the future. As beautiful as the whole story turns out in the end, I couldn't help but feel that with a bit more time they (Luke in particular) would have come to the right conclusion without all the pressure exerted by Moira, family members and circumstances. But well, maybe that was the point... they would have been perfect in the end anyway? There is a beautiful epilogue that ties up this story and the whole series with Grams thoughts at the end. I think that fans of this series and of the O'Briens will love it!